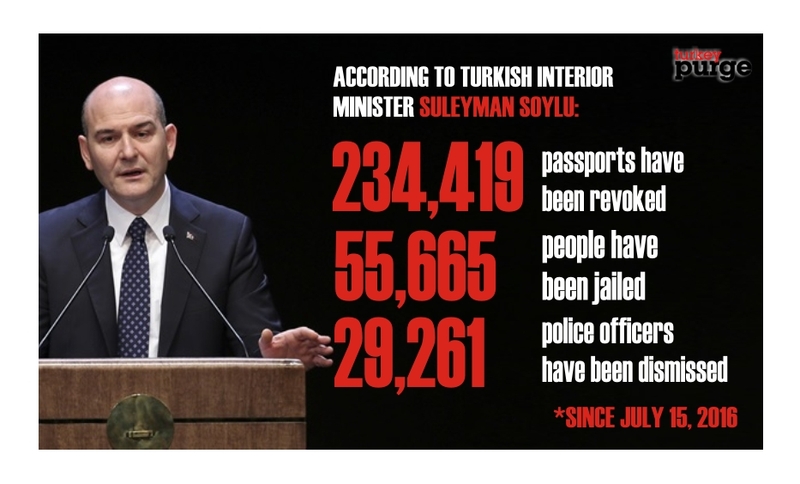 Turkish Interior Minister Süleyman Soylu on Tuesday said 55,665 people have been jailed and 234,419 passports have been revoked since a failed coup attempt on July 15, 2016, DHA reported. Turkish authorities believe ByLock is a communication tool among followers of the Gülen group, which is accused by the government of orchestrating an attempted coup on July 15, 2016. Soylu also called on police inspectors to give priority to investigations into the Gülen group. Turkish Interior Minister Soylu on Nov. 16 had said 48,739 people had been jailed and eight holdings and 1,020 companies seized as part of operations against the group.